Listed below are Suits, blazers & jackets items for you to car boot sale online here that you will find available in London. If you cannot find the Suits, blazers & jackets items that you are looking for in London you can add your wanted item to let sellers contact you if they have any Suits, blazers & jackets items available for you. You can keep your contact information confidential. Enter only an email address in your car boot sale ad to receive offers into your account on our system. We will remind you automatically when new offers arrive for you. To offer your items for sale on this online car boot sale in London simply click Post free ads for Suits, blazers & jackets link below or the button Post free ad in top right corner of this page. It is fast, easy and free to post an ad in 2lazy2boot. It will take you just few minutes to have the ad seen on our listings. You can then edit your ads any time by clicking “Member area" button on top right corner of this page. Trench coats always add style and grace in personality especially in winters when people are worries for their stylish looks long coats are here to solve their problem. So, as this coat is which is inspired by the miniseries Farscape Peacekeeper wore by John Crichton. We believe in delivering value to our customers that’s why we don’t compromise on quality. “Zac Efron” has made a huge name in the film as well as the fashion industry. The jackets that he is seen endorsing in the movies as well as his real life are outmatched. 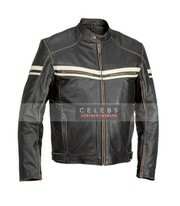 The teen sensation “Zac Efron”wears this jacket extremely well in the film “The Awkward Moment”. Jacket is an inspiring piece of fashion that can be worn in party nights, social gatherings and even as a casual “Zac Efron” has made a huge name in the film as well as the fashion industry. 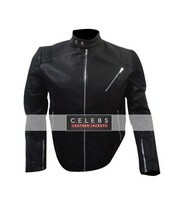 Fast and Furious 7 Vin Diesel Jacket, a perfect visual appeal to be able to do it will be that exceptional jacket! 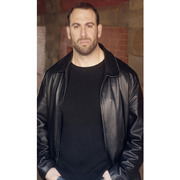 In case you are also a fan of the very most exciting fast and furious 7 as well as planning to by some means fit using the attires used in the movie , while using the Vin Diesel leather jacket is often a excellent selection. 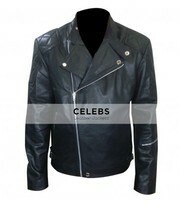 Celebs leather jackets presets so amazing offer, yes amazing thing is here now in reasonable price. Combinations of red and black leather piece which will make you look unique and stylish at the same time. 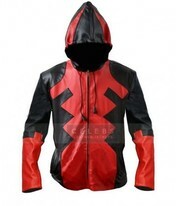 It has lovely and bright combination of color and stitched with high quality leather, cowhide, fine stitching and it has black red and white stripes on bottom of jacket. This cool jacket is replica is inspired by the French band Robin Bois’ Ne Renocez Jamais. 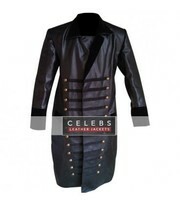 This jazzy jacket is made of real leather and its lining is crafted of viscose. The jacket has unique front laces closure style with hoodie on back. 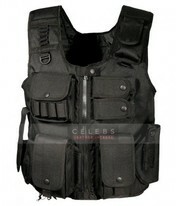 This sleeveless jacket is perfect to have a rock star look in your style. This cool jacket is the replica of the Dan Steven blue jacket which he wore in the movie The Guest. 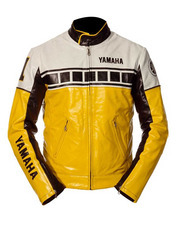 The jacket is crafted of real leather while its inner lining is made of viscose. 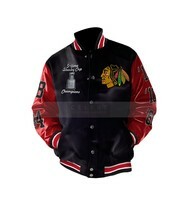 The jacket has standup round belted collar, front branded zip closure, and two zipper pockets. You can wear this celebrity inspired jacket casually and formally. This astonishing jacket is inspired by the game Metal Gear Solid 5. And a perfect attire to have a biker look. 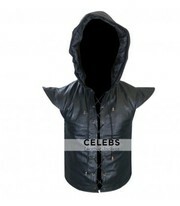 This black jacket is made of 100% real leather while inner material is viscose. The beautifully designed jacket has lapel collar, front YKK zip closure, and full sleeves with simple cuffs. It is an ideal style all the Metal Gear Solid fans. The jacket is enthused by the movie Star War the Force Awaken and worn by Kylo Ren. This long coat is crafted of real leather with inner viscose lining. This classic jacket has standup neck with hoodie attached on back, front YKK branded zip closure.it also has belt on waist which adds up looks of this coat. 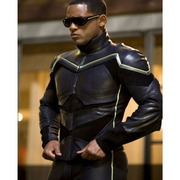 WILL SMITH HANCOCK LEATHER JACKET COSTUME Willing to grab something to look more charming? 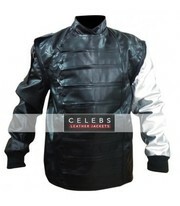 Will Smith inspired jacket can fulfill this fashion desire of you. 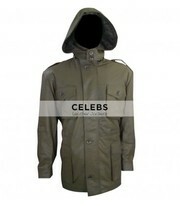 The Champaign green color in leather jacket is quite impressive and will add a distinctiveness in your personality too. 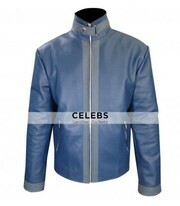 Now getting the looks of Will Smith is not difficult for his fans with this charismatic jacket. 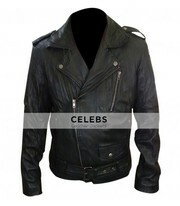 DONNIE WAHLBERG BLUE BLOODS TV SHOW BLACK LEATHER JACKET This astounding piece of fashion is enthused by the television series Blue Bloods and was worn by a attractive and smart television star Donnie Wahlberg . 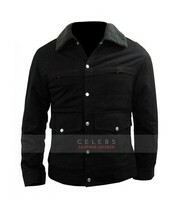 This television jacket is made from high quality leather material with viscose inner lining. Well here you go. Good luck with your on line car boot sale in London. We hope you have some success and find buyers/sellers that you are looking for in Suits, blazers & jackets . Don’ t forget to comment any successes in selling your Suits, blazers & jackets items in London to our valuation window and report forum! We are sure you will find many people in London looking for your Suits, blazers & jackets. London car boot sale. Suits, blazers & jackets for sale ads on online car boot sale in London, second hand Suits, blazers & jackets for sale in London, Suits, blazers & jackets ads for free in London, 2lazy2boot - London car boot fairs.